Whether you adore country pickin’ on the fiddle or Stravinsky compositions in the concert hall, violins have a sound easily adaptable to a variety of musical genres. They haven’t always looked the same since their heyday during the 16th century, but the violin has a recognizable tone and appearance. Some of the most valued instruments have sold for millions of dollars at auction. National Violin Day on December 13 recognizes the impact and cultural contributions of a most versatile instrument. ​A Japanese fundraising auction brought in $15 million for "Lady Blunt," an original 1721 Stradivarius. Ben Lee is believed to be among the world's fastest violinists, having set the record for playing the composition “Bumblebee" in just over a minute. His "King's 24 Violins" orchestra became a royal sensation and raised the profile of this exciting instrument. ​Italian violin maker Andrea Amati built the earliest documented four-string violin. National Violin Day encourages you to pack your iPod with an endless supply of violin tracks. Hop from genre to genre, starting out with Paganini compositions and ending up with your favorite bluegrass songs. Invite some friends, cook some food and there you go. National Violin Day is your time to finally fulfill a lifelong fantasy. You want to play the violin! So sign up for lessons. But while you're learning, be a good neighbor and pass out earplugs to the folks upstairs and across the hall. They'll love you for it. Fictional detective Sherlock Holmes played the violin as a way to fight stress. There's evidence that Turks and Mongolian horsemen from inner Asia were the world’s earliest fiddlers, playing a double-stringed upright instrument made with a horsehair bow and strings — which also featured a horse’s head at the neck. If you're trying to lose weight, you can burn 170 calories per hour playing the violin. ​Prior to the 1600s, violins were used to accompany choruses; it wasn’t until later that compositions highlighted their solo musical virtuosity. The burning question among aficionados on National Violin Day is whether or not violins and fiddles are the same. 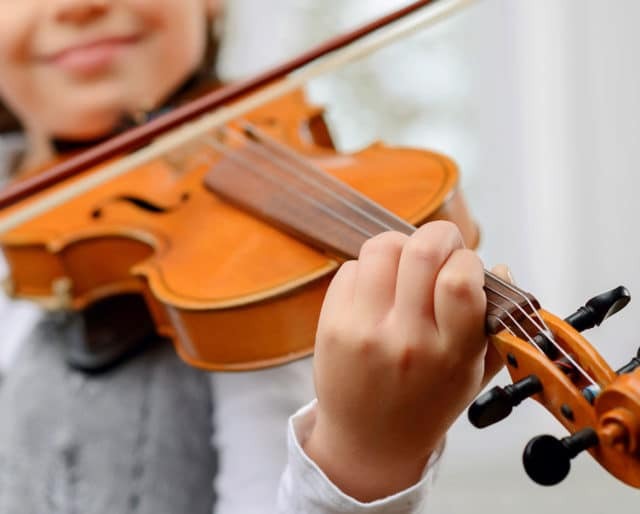 By and large, they are, with the sole difference being that a fiddle can have a fifth string, unlike most violins, which only have four strings. Country music fiddlers further differentiate that the fifth string is plucked and not bowed. Both instruments are usually made from either maple or spruce woods that give the instrument a beautiful finish — and the strings are always made of horse hair. Violins date as far back as the Persian Byzantine era of the ninth century. They didn't look like modern violins, of course, but they were stringed. There were also variations including the Arabic rebac, the medieval fiddle, and other kinds of portable stringed instruments. Unfortunately for the violin, prior to the 16th century, musicians who played them were considered low-class and not able to play music in prestigious courts or palatial homes. This impression may have changed when professional violinists in the Italian town of Brescia, a center of violin-making, petitioned the government to consider their trade more highly so as not to be associated with “base, vile, and crude” music of more common musicians. The Europeans prized violins. One way of expressing their stature was to include them in paintings in churches and palaces. During the Baroque artistic period, violins started popping up everywhere in paintings. After all, how could you have a decent celestial choir without violins? It's why you can see early European portraiture depicting cherubs and gods playfully holding or caressing violins.